This image was captured at the Rose Garden at Springs Preserve with the wedding party, while they were having fun. 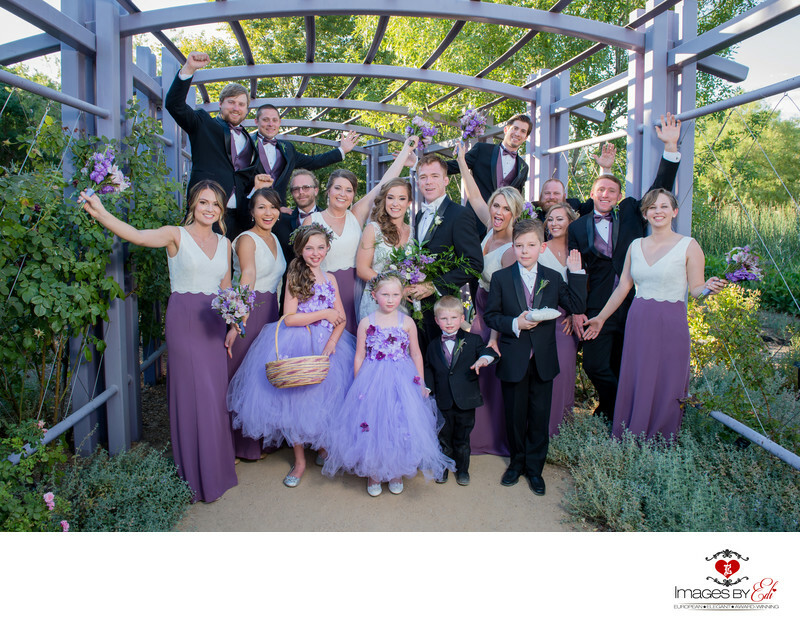 The rose garden is framed with a purple architectural element, what gives a little more excitement to the image and it matches really well with the bridesmaids purple and white dresses. The two flower girls also wearing purple fairy dresses with darker purple rose petals on the top.